In 1988 at the Olympic at the 100 meters sprint final the commentators were watching these two fastest men Ben Johnson and Carl Lewis. Ben Johnson broke a world record and came first in the 100 meter sprint final and Ben Johnson won the gold medal, Carl Lewis won the silver medal. Suddenly Ben Johnson disqualified at the Olympics because Ben Johnson got caught taking steroids then Carl Lewis won the gold medal At the Olympics. Malo e lelei Jacob it's Danielle here. Hey nice story about the Olympics and the story behind it. It's cool how you explained when the Olympics began and where it happened. Good job on finding info about it. Keep it up. 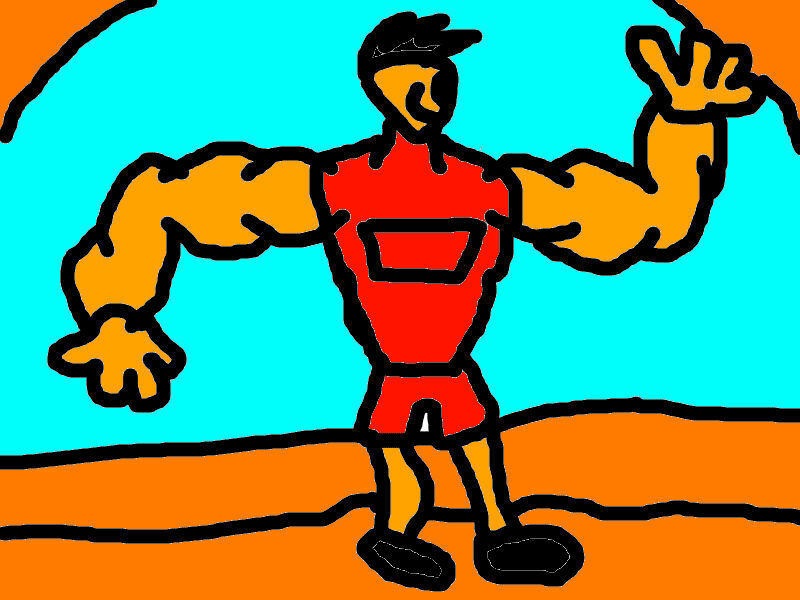 Nice picture of a muscle man. Talofa Jacob, It's me Junior. I love the way how you explained about the Olympics. Good job on finding out about the 100 meter sprint. Keep it up :). Hi Jacob! Your picture and story of Ben Johnson is really really cool. I really do like your picture, it is awesome. Keep up the amazing work Jacob!